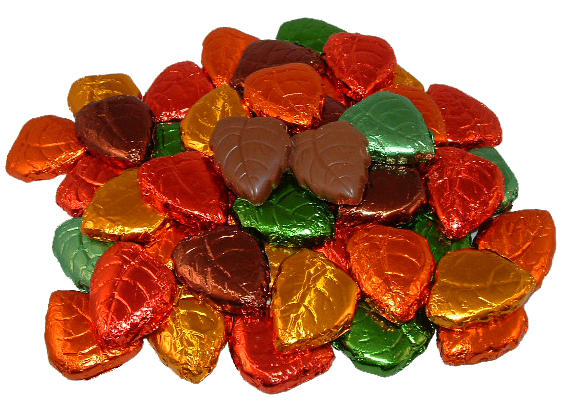 Milk Chocolate Foil Leaves - 1/2 lb. Solid premium milk chocolate shaped and foil wrapped to look like fall leaves. Packaged in half pound bags with approximately 28 pieces.